As gardens and terraces become extensions of our indoor spaces, the trend for cool, grey interiors has stepped out into the sun. Meet Island Mist: our colour of the year. 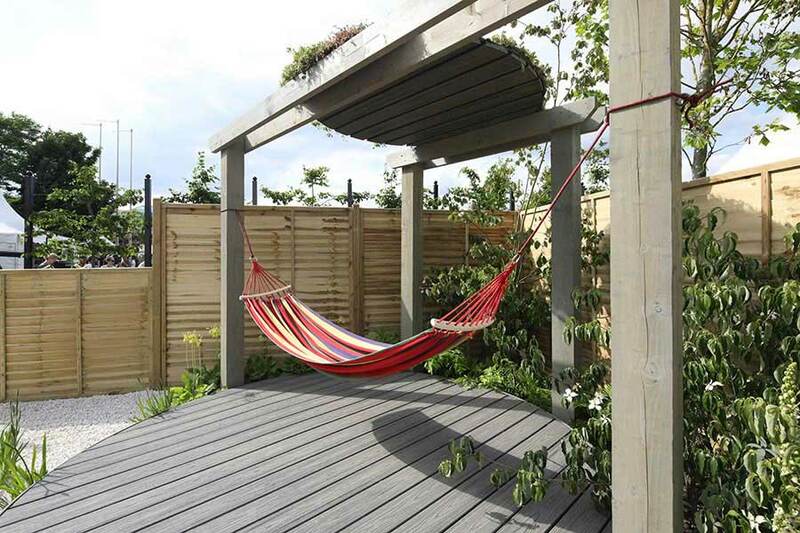 Like any home improvement project, your decking is a reflection of your own personal style, whether you prefer traditional warm tones or contemporary shades. 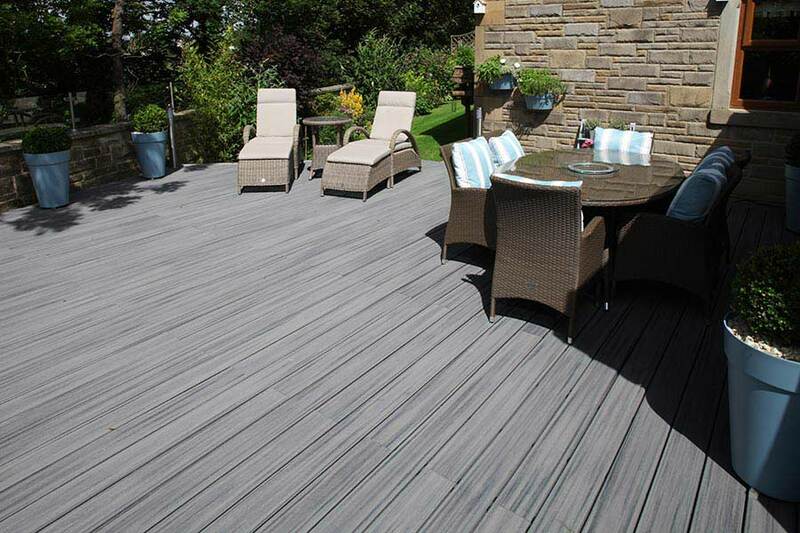 Our range of Trex composite decking is available in a variety of colour options, from warm browns to cool grey. But there’s one colour that’s proved to be our most popular by far in the past 12 months: Island Mist, a silver-toned shard which mimics the natural appearance of aged tropical hardwood. It’s not hard to see why Island Mist is the first choice for people looking to create a stylish outdoor space. Island Mist lends itself particularly well to a sleek minimalist style space, and its versatile neutral tones allow for bold splashes of colour – whether it’s outdoor furniture or bright flowering plants. What’s more, with Trex decking, the colour is designed to last: the boards are guaranteed against staining and fading, and require just a quick wash to return to their pristine best so Island Mist will be just as stunning after 10 summers as it was on installation day. Grey tones are so popular because they’re the ultimate cool neutral: Island Mist can provide the perfect backdrop to build your outdoor space around, and its versatility means that you can add a lot of personality. You can keep it neutral with monochrome furniture – cast iron or rattan furniture would keep the lines clean, with soft grey or white cushions to create a stylish Scandinavian feel. Or you could take a leaf out of Halcyon Days Garden Designs’ book and add some colour in the form of plants and bright furnishings. The beauty of Island Mist is that it works equally well with contrasting colours or complementary shades. Think bright lime green or warm oranges and reds for contrast, and cool blues and purples to tone with the silvery Island Mist backdrop. Pantone’s colour of the year for 2018, Ultra Violet, would also work well – and is a sign that greys will continue to dominate the neutral palette. If you want to see Island Mist for yourself, why not order one of our inspiration sample packs?